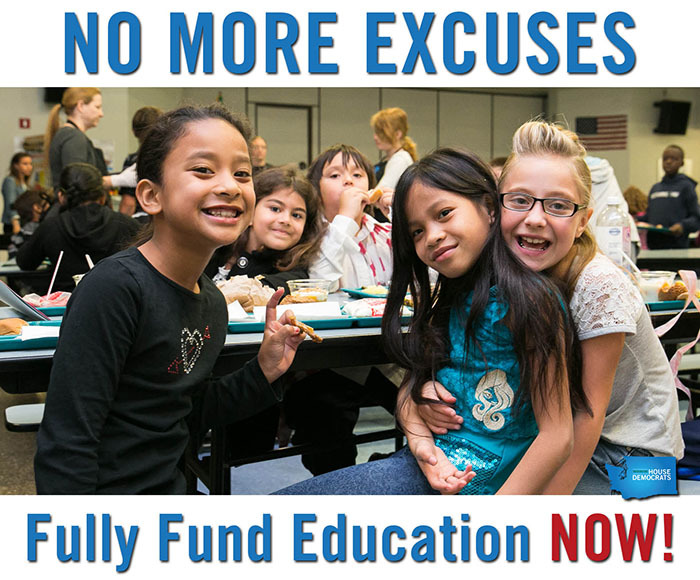 Urgent action needed on school funding! The House of Representatives voted on its first bill of the 2017 Legislative session today – HB 1059. You may have heard this referred to as the “Levy Cliff” bill. In short, public schools will lose roughly $358 million in funding for the 2017-18 school year unless lawmakers act soon. In our community, the Tacoma School District stands to lose $2.6 million. Click here for a more detailed explanation of the levy cliff bill, or click here to watch my video update about the levy cliff and how we need to fully fund our public schools. Every child deserves a fair shot in school and in life. It’s time for the Legislature to step up and fully fund education! Although this bill passed the House with bipartisan support, early indicators suggest that the Republican-controlled Senate will not bring the bill up for a vote. If that’s the case, teachers will receive layoff notices in the coming weeks and crowded classrooms will become even larger. Students deserve stability in their schools. Passing this bill makes sure that school districts aren’t held hostage while the Legislature finds long-term solutions to the school funding problem. I will urge my Senate colleagues to bring the Levy Cliff bill up for a vote. I encourage you to make your voice heard if you believe lawmakers should honor their promises to fully fund education. Washington’s 1.1 million school kids shouldn’t have their education disrupted because of partisan politics. Youth homelessness is finally getting the attention it deserves. 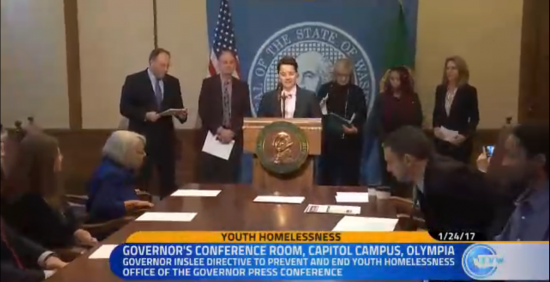 I was proud to attend the governor’s conference on Youth Homelessness and am working together with lawmakers, stakeholders and the governor’s office to find solutions for all of our kids. Click here to watch the TVW broadcast of that event, and please get in touch if you have any ideas about how to help our homeless youth. I’d love to hear your ideas, questions or comments. Thank you for taking the time to read this, and I hope to hear from you soon!